The author of "Hidden Figures" is setting her next book around two prominent African-American households in mid-20th century Baltimore. Viking told The Associated Press on Monday that it had a two-book deal with Margot Lee Shetterly that will continue her quest to tell of African-Americans who have been overlooked by historians. The first book centers on the Murphy family, which owned a leading African-American newspaper in Baltimore, and the Adamses, who were influential philanthropists and investors. "Shetterly will bring the history of Baltimore to life through the success stories of the Adamses and the Murphys, also showing the contrasting challenges faced by those left behind by redlining, lack of economic opportunity and urban decay," Viking announced. "In doing so, she will bring new understanding to the history of a city that represents both the upside and the shortcomings of the American dream." The book doesn't yet have a title or release date. No details were available for the second book. 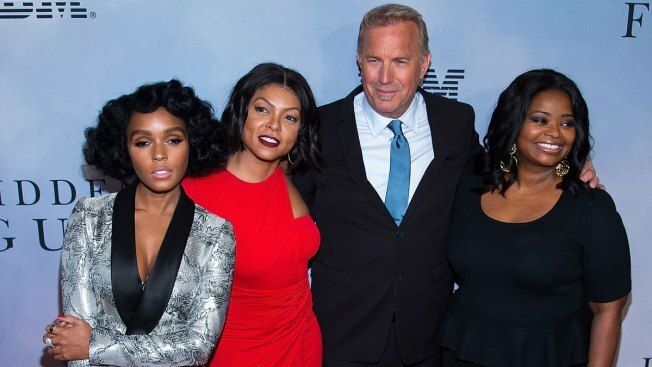 The best-selling "Hidden Figures: The American Dream and the Untold Story of the Black Women Mathematicians Who Helped Win the Space Race" was adapted into the Oscar-nominated movie of the same name.